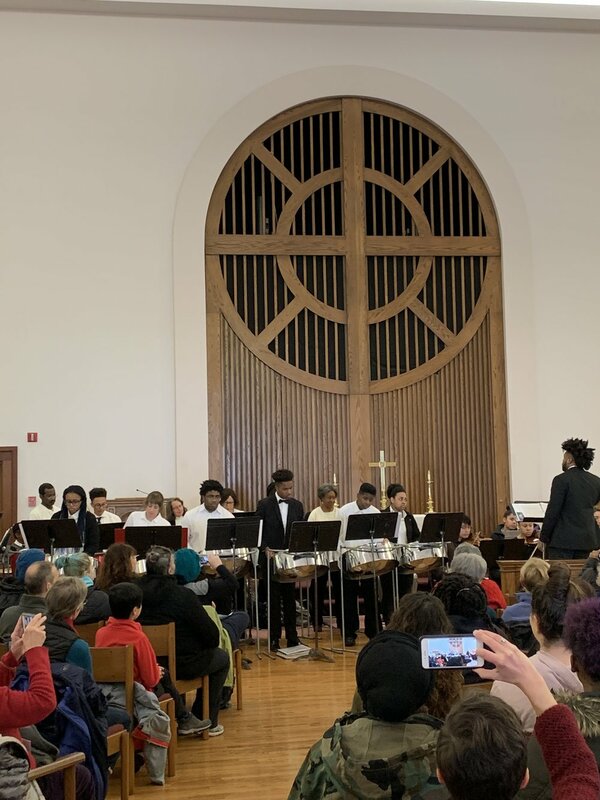 On January 21, Music Haven’s Harmony in Action Chamber Orchestra and Music Lanterns joined forces with students from Bridgeport and our long-time friends, the St. Luke’s Steel Band, for our 9th Annual MLK Concert. Our theme this year, A Change is Gonna Come, set the tone for an afternoon of songs from the Civil Rights Movement. The musicians participating in this amazing concert ranged in age from 10 to 91, and the audience at the First and Summerfield Church in New Haven stretched all the way to the back of the hall. This year, we honored Nakia Dawson-Douglas of Bereavement Care Network for her work supporting New Haven families whose lives have been impacted by homicide. Nakia was nominated through an open community nomination process and selected from among a dozen nominees by a committee of our young musicians! 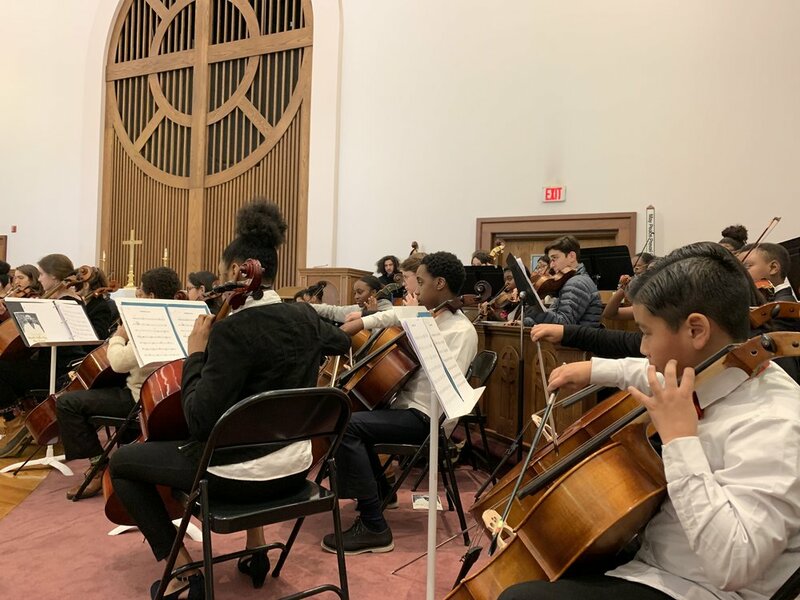 For some of our friends from Bridgeport, who were participating in this concert through a program sponsored by Music For Youth, this was their first experience playing in such a big ensemble. 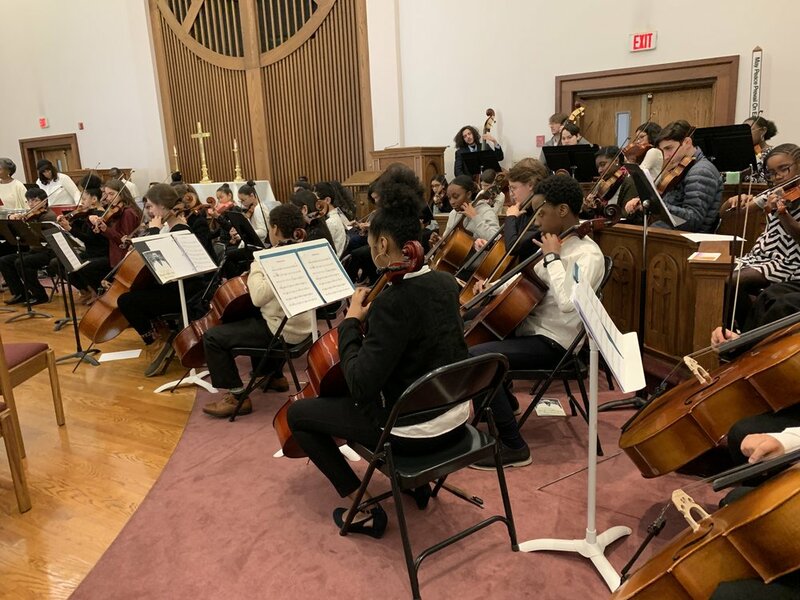 It was also the first MLK Concert for some of our Music Lanterns, who are ages 10-12, and were very excited to have the opportunity to play in a concert with our orchestra for the very first time. The concert featured our advanced chamber group--the Muse Quartet: Cris, Audrey, Jordan, and Isabel. Some of our young musicians did an excellent job reading the words of Dr. King (and words about Dr. King by other prominent activists and writers) in front of the crowd of nearly 300 people. We look forward to our 10th concert collaboration next year!